The digital edition of Wind Energy for the Rest of Us is now available for download. This is the version of the book for true wind geeks as it offers photographic detail not seen any other way. Amazon is selling the Kindle version for full retail of $30. Chelsea Green, the book's distributor, is selling the epub version at less than retail for $24. Wind Energy for the Rest of Us is liberally illustrated with photos of wind turbines from the past four decades. Unlike the print version, the ebook allows readers to enlarge the book’s images. Not all ereaders have this capability but for those that do it opens up a new world, enabling readers to see detail not seen previously--not even by the author. For example, Figure 15-8. 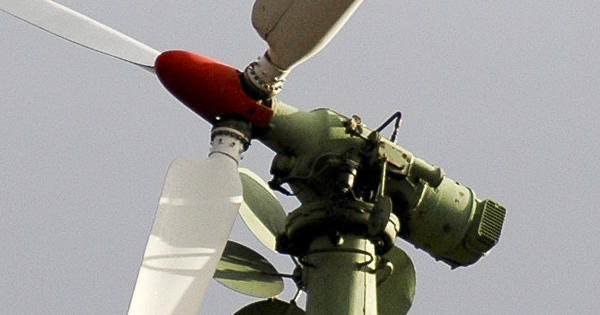 Aviation obstruction marking shows a montage of two wind turbines: An Enercon E126 in Germany and a Bergey Excel near the Portland, Oregon International Airport. The detail of the aviation obstruction lighting on the Bergey is lost in the print version. The size of the image is simply too small to show the lights below the nacelle. However, in the digital version the reader can enlarge the photo of the Bergey and see the lights and how they are mounted on the Bergey tower. This could be useful for installers elsewhere who face a similar need to install obstruction lights on a small wind turbine. In another example, Figure 3-8 shows a rare photo of an Allgaier in the wild. This was a commercial derivative of the work by Ulrich Hütter in the 1950s. I came across this wind turbine driving across the Taunus on our way to the airport in Frankfort, Germany. 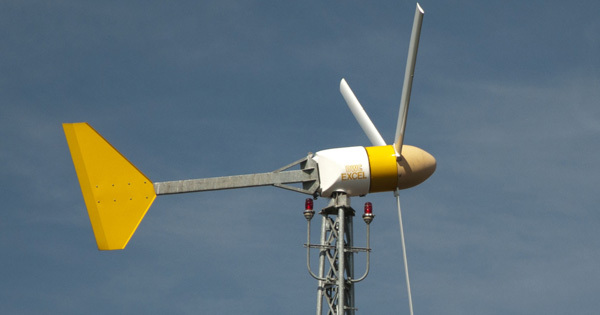 There are only a few examples of this wind turbine still in existence. While the photo in the print version is satisfactory, far more detail is available in the digital version. For students of wind engineering this is a rare opportunity to see how Hütter approached wind turbine design without flying to Germany and seeing the turbine in person. 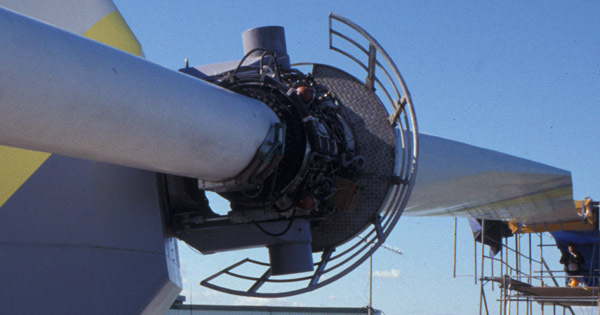 Similarly, Figure 5-28 shows a photo of the teetering hub on MBB’s one-bladed wind turbine near Wilhelmshaven, Germany in the 1990s. Using a fully-capable ereader, you can see detail of the hub, service platform, and counterweight that previously was only visible in the original photograph. Unfortunately, most common ereaders are not suited for heavily illustrated books, such as Wind Energy for the Rest of Us. It’s necessary for users to seek out ereaders capable of showing illustrations in the detail that the digital designers intended. There are many ereaders on the market. Two open source ereaders that can view images in more detail than common ereaders are Freda and Calibre. As the photographer of many of the images it was a pleasant surprise to see these images in far greater detail than when I was looking at the wind turbines in real time. This makes the digital version of the book a must have for hard-core windmill geeks.